Janelle In Real Life: sweaters & statement necklaces. Hey there friends! I have a fun little collab for you today. Courtney from All Things Unpredictable & Chic and I are here to show you how we styled a fun fall trend... sweaters and statement necklaces! And here's a little about her! Hello everyone! 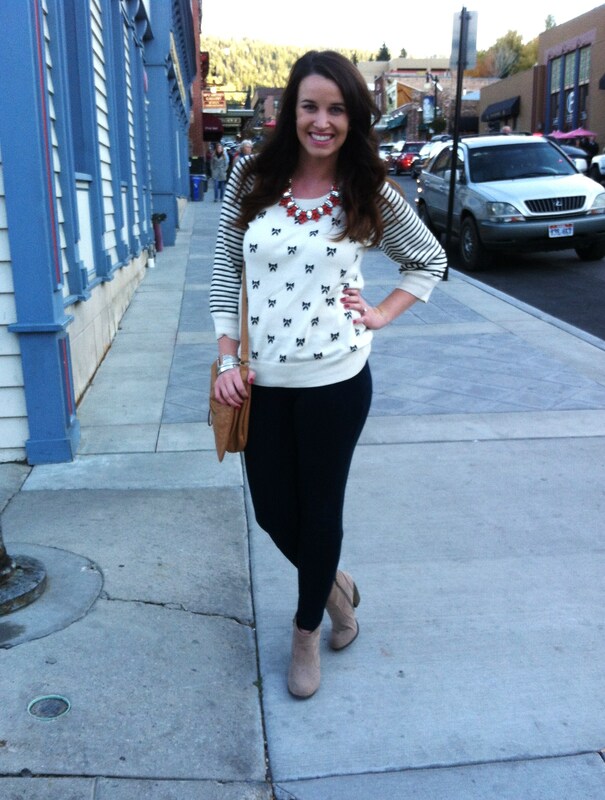 My name is Courtney Pruitt and I blog over at All Things Unpredictable & Chic! I am glad to have this opportunity to guest post on Janelle's blog and introduce you to little spot on the internet. Fashion to me is all about trying out new things and having fun! 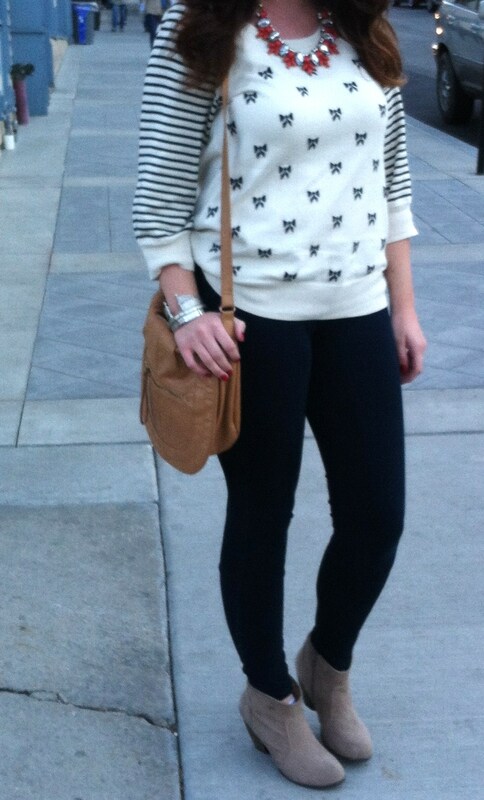 My blog consists of affordable fashion and expressing yourself through your own personal style. These days, anything goes! As long as you have confidence, you can truly pull off anything! 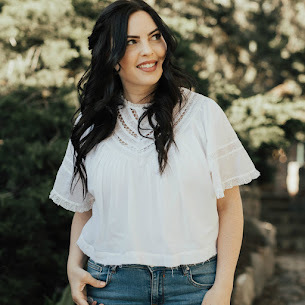 Head over to my blog to see more of my outfits, DIY posts, recipes, and more!The best thing about blogging is being able to meet other talented bloggers! I truly love seeing how creative people are so I'd love for you to stop by and say hello! Have a super-duper day guys. I need those booties! ...any booties. I want some just like those with a lower top. I have some outdated ones that have the tops to high. cute! Love your booties! Would love to feature you on my blog for I Am a Mormon Monday! If interested, please email me and I will give you all the details. Love your version, actually both looks are gorgeous. Perfect casual look. Loving those booties. Thank you for linking up. See you next Thursday. I just got that first necklace but in a dark blue color, I absolutely love it!! I really love your chunky sweater too :) Perfect!! Both looks are adorable! 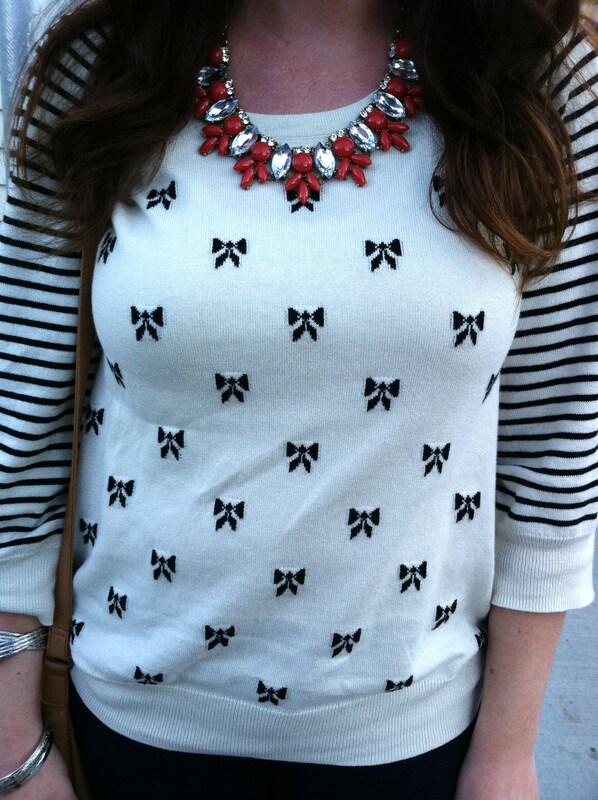 I love the bows and pop of red with the statement necklace and your sweater looks so cozy and warm!